As a key figure in twentieth-century architecture, Le Corbusier had a major influence on the cultural life of his time. The publication "Le Corbusier - The Art of Architecture"; presents an overview of his work, which included not only architectural projects, interior design and furniture but also paintings, textiles, sculptures, drawings and books. 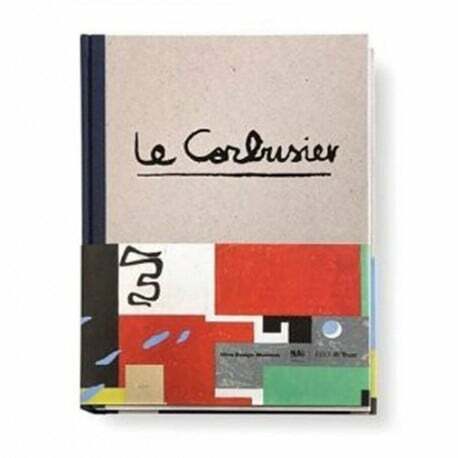 Essays of well-known Le Corbusier experts examine outstanding aspects in Le Corbusier’s work such as the relation of sculpture and architecture, his work as an interior designer, his fascination with new media and the technical object or his lifelong interest in the Orient. A richly illustrated biography is showing the huge creative output of a career of more than 60 years. Based on the latest research results, and on a rich choice of previouslyunpublished material, this book is a comprehensive introduction to Le Corbusier's work and influences, but also offers new discoveries for the many people already familiar with the work of the "Architect of the Century". The publication includes texts by Stanislaus von Moos, Jean-Louis Cohen, Arthur Rüegg, Beatriz Colomina, Mateo Kries and others.